For the finest oil changes and vehicle maintenance services, look no further than Kwik Kar Lube & Tune! Since 2003 we’ve proudly served drivers throughout the Hot Springs, AR area, providing steadfast service, honest workmanship and affordable prices. We’re also your premier provider of fleet services! 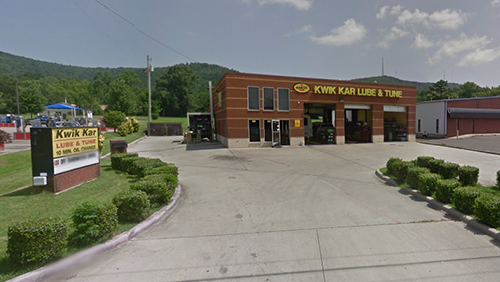 Home of the oil change in Hot Springs, AR, your premier destination for routine service, maintenance is Kwik Kar Lube & Tune! We’ve cultivated and exceptional reputation for providing fast, excellent and honest service to our customers and we always strive to uphold that reputation for every customer we serve, new or returning. Whether you’re dropping by for a fast and thorough oil change or you need a specialty service like a transmission flush, know that you’re always going to get the best workmanship and steadfast integrity from our seasoned technicians. We’re members of the Automotive Oil Change Association (AOCA). We’re proud members of our local Chamber of Commerce and BBB! We use Mobil 1 products for best in class results, along side other leading brand names. We offer fleet services and a 10% discount on service for 5 or more vehicles! to Carfax for any vehicle we service! If you’re due for routine services, whether you’ve got a single vehicle or a whole fleet, trust Kwik Kar Lube & Tune to provide you with service today!